Polling by Research!America in 2011 showed overwhelming support for increasing government investment in the National Institutes of Health (NIH) and that most people feel federal funding of research is necessary to improve state economies. 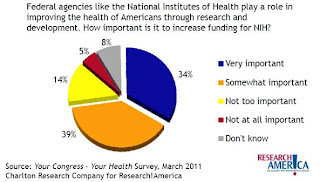 With the current budget woes, can we truly expect increased funding for the NIH? What could that investment do for our nation? The answer is a whole lot more than you might think. 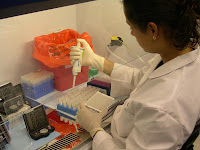 As an example, in 2010 more than 4,000 jobs in Virginia were directly due to NIH-funded research, which totaled more than $300 million for the state that year. An additional 2,000 out-of-state jobs were attributed to NIH grants received by Virginia institutions demonstrating broad economic impact. In addition, the biosciences industry in Virginia, which expands around and benefits from NIH-sponsored institutions, was responsible for more than 80,000 direct and indirect jobs in the state. 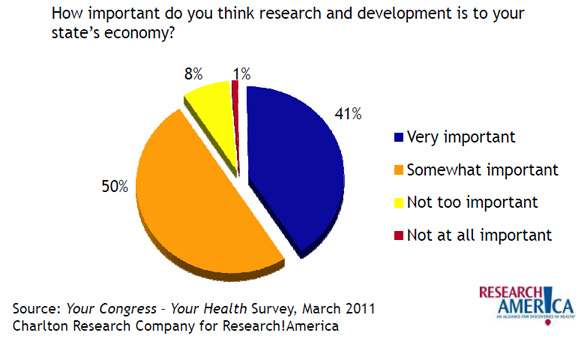 The NIH clearly has made an impact on Virginia's job market. According to a report by the U.S. Department of Commerce, Science, Technology, Engineering and Math (STEM) industries have the most growth potential, pay higher salaries and need more skilled employees. Virginia exemplifies this trend. In order for the entire country to benefit similarly, our nation must make the upfront investment in scientific research. Everyone needs to understand that the NIH can provide us with great opportunities to work and excel in biotechnology and medicine. In the next post, I will expand on this by discussing a successful bioscience company that developed from federally-funded small business grants. 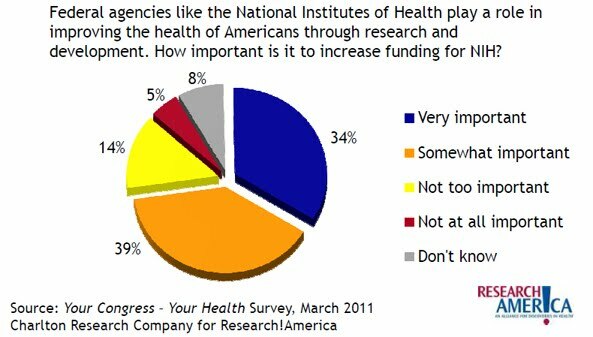 In the meantime, call your representatives in Congress today and tell them you support the NIH and bioscience research! !